Your mattress is the most important piece of furniture in your house. Let’s face it, what other article in your home do you have as much contact with as your mattress? The average person spends 6-8 hours every day in their bed. That’s about ⅓ of your life! The mattress is also the only piece of furniture where your face is literally inches away breathing whatever is inside it. Polyurethane Foam. 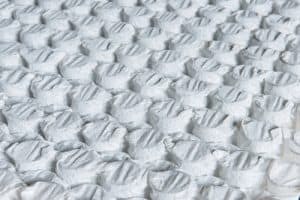 – Since the 1970’s polyurethane replaced cotton and natural rubber as the go-to material for padding inside mattresses. It is very inexpensive to make and very easy to mass produce. However, since polyurethane is a petrochemical, it is laden with chemicals that can and most usually do off-gas. Glues/Adhesives– On average, the typical mattress has anywhere from 2-7 layers of padding. To keep these layers from shifting, mattress companies usually glue these layers together. The problem with gluing these layers together are the many chemicals that are found in adhesives. In some cases, you can still smell the glue many days after it has been delivered. Chemical-Based Fire Retardants– Since 2007, a federal law was passed that mandated every mattress must pass the fire test. While that law might have solved one problem it opened up the door to a host of many other problems regarding people’s health. 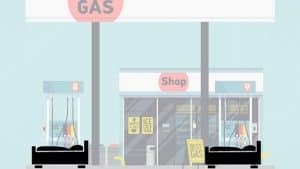 A couple of the dozens of chemicals that are used in most fire retardants are Formaldehyde and Antimony Trioxide which have both been shown to be carcinogens. If you have a mattress from a typical mattress retailer or if you purchased online, the chance that you may be sleeping with some of these chemicals is high. But, there is an alternative to your typical mattress. The solution to this problem is an all-natural mattress free of the potentially harmful chemicals listed above. Mattresses where natural materials like natural rubber/latex, cotton and wool are used instead of synthetic foams. Natural latex comes from the rubber tree where the liquid from the tree is used instead of petroleum. Not only is latex a lot healthier but it also is much more durable. The average latex mattress lasts 2-3 times longer than a traditional mattress. If you are on your mattress shopping journey but confused on how to find the right one. Download our FREE Guide to get all the tips you need for finding your perfect mattress. Just click the image below to get it now.